My family wanted to bring a grandparent to a family function but learned quickly that this task would not be easy to accomplish. The grandparent used a wheelchair and needed the services of a wheelchair-accessible van. 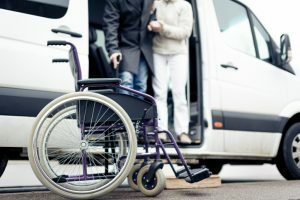 Calls were made to paratransit companies and it was rather eye-opening to find out there was a three-week waiting time and that a pick-up was not guaranteed due to the limited availability of vans equipped for this special transport. We ended up bringing a small celebration to the nursing home instead. With this experience in mind, I was excited to read in the Washington Post’s Gridlock column that Uber plans to contract with a paratransit firm to provide drivers and vehicles to transport people with disabilities. The six cities getting this service will be Boston, Chicago, New York, Philadelphia, Toronto, and the District of Columbia. Later this year, the program will expand to San Francisco and Los Angeles. This effort won’t solve the dilemma faced by 30 million people with mobility disabilities in the U.S., but it’s a start. As an industry, we have a significant role to play in solving problems related to accessible parking and disabled placard and plate abuse. Access to transportation, including parking, is a civil right in this country. 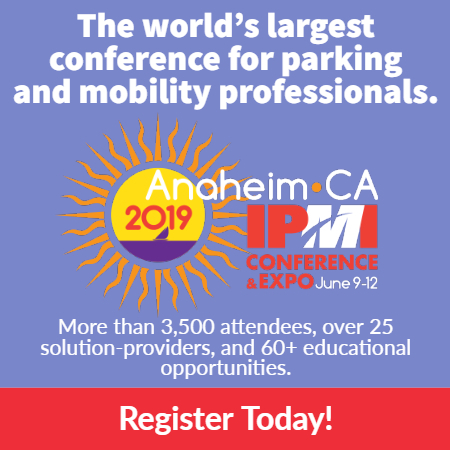 The IPMI-led Accessible Parking Coalition is working to make a difference. If you’re aware of innovative programs and policies that others would benefit from knowing about, please share your resources with the APC website via their submission form at accessibleparkingcoalition.org/share.